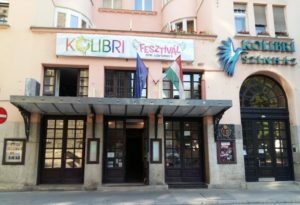 Located in the heart of Budapest, just one block from Andrássy Avenue – the so-called Hungarian Champs-Élysées -, Kolibri Theatre for Children and Youth occupies an impressive 100-year old building in the city’s historic theatre district. The big auditorium in Kolibri Theatre hosts comprehensive artwork productions for 6 to 12-year-olds, featuring actors, puppets, live music and varied stage techniques. However, the theatre has the two smaller performance venues as well: Kolibri Fészek (Kolibri Nest) is a theatre room for the youngest audiences which stages early years performances and tales often combined with interactive games, while Kolibri Pince (Kolibri Cellar) offers productions for young adults and theatre-in-education activities. Kolibri has a vast and varied repertory of 33 performances per season, consisting of the theatre’s most successful productions presented for all ages from toddlers to teenagers. 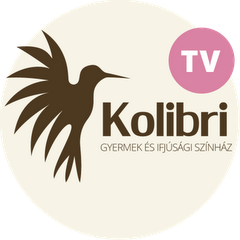 Kolibri Theatre celebrates its 25th anniversary in 2017! The company keeps working together towards their overall goal to provide meaningful entartainment for children of all ages and to make it possible for every child in Hungary to see a theatre performance appropriate for her age at least once a year.